There’s been a debate in the medical community about whether the presence of a mouth infection increases the risk for heart-related issues. Dr. Derek B. Hauser, DDS, is a dentist with 20 years experience serving families in Canyon Lake and promoting excellent oral health. Dr. Hauser is the most well-known cosmetic dentist and highly qualified CEREC dentist in Riverside County. Here is just one of thousands of happy clients’ smile transformation using CEREC technology. You can get new crowns, veneers and bridges in just one visit, so you can enjoy more time with family and friends. Call (951) 244-9495 and schedule a consultation today to take the first step to a clean, healthy mouth. Nearly 50% of adults across the nation have periodontal (gum) disease and it’s the #1 reason for adult tooth loss. Dr. Hauser and our friendly, knowledgeable staff at Lakefront Family Dentistry are passionate about helping reduce oral infection risks in Canyon Lake and around our communities in the Inland Empire. We encourage everyone to visit us twice a year for preventive care and maintenance. Dr. Hauser is a hands-on family dentist who takes the time to meet with all patients, while getting to know their families and addressing concerns that matter most. Is There a Link Between Mouth Infections and Heart-Related Issues? There is no direct, scientific evidence to suggest that oral issues, such as gingivitis, causes heart problems or other illnesses. However, a growing body of research suggests there may actually be a connection. According to studies from the American Academy of Periodontology, leading dentists and researchers found that individuals with periodontal infection are twice as likely to have (or develop) heart disease. In another study published by the Journal of the American Heart Association, researchers concluded that people with certain levels of infectious mouth bacteria were more likely to suffer from atherosclerosis, which is a hardening of the neck arteries. Atherosclerosis is a known cause of stroke and affects many lives daily. While there’s no conclusive evidence linking periodontal disease and heart conditions, we do know that untreated, oral-related issues attracts infectious bacteria and acts as a vessel, spreading through the mouth and into the body. The staff at Lakefront Family Dentistry is very knowledgeable and passionate about teaching the importance of good oral hygiene. The condition of one’s mouth has a great impact on overall appearance and we want to help everyone put their best smiles forward every day! 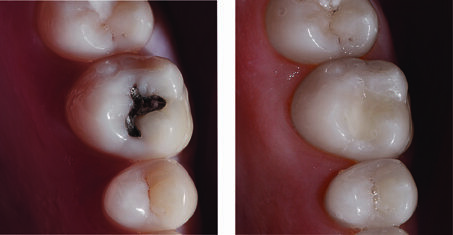 Want to Replace Your Silver (Amalgam) Fillings? Dr. Hauser Can Match Your Surrounding Teeth Color with Your New Filling Easily! Our family dentist and the American Dental Association (ADA) recommends everyone visit a dentist twice a year for a routine checkup and cleaning by a registered dental hygienist. Dr. Hauser is fully qualified to service all your needs and provides the best preventive care to help maintain healthy mouths for years to come. Most of the staff has worked here alongside Dr. Hauser for 10 years or more and genuinely shares the goal of delivering high quality services and comfort. We love welcoming people to our beautifully designed facility. When visiting, expect VIP treatment upon arrival. We thought about your family when selecting the office décor. Every inch of our office was planned to create a warm, welcoming environment. Delivering quality care is a high priority, and we always consider the patients’ needs first. Families receive unparalleled convenience and a superior level of service during each visit. Today’s amazing technological advances deliver premium quality equipment right to local practitioners’ offices. Only 7.5% of dental offices nationwide are qualified to use the revolutionary CEREC system, which combines cutting edge manufacturing equipment with 3D imaging technology to create flawless porcelain crowns, bridges and veneers. Unlike most facilities in Riverside County, Lakefront Family Dentistry sets ourselves apart by ensuring patients can access the most advanced, convenient quality care available. Using CEREC technology, Dr. Hauser captures a digital image of a person’s mouth and gets exact specifications needed to create flawless teeth. While patients wait, Dr. Hauser creates porcelain crowns, bridges or veneers that are an exact fit to their mouth and smile. Moreover, these restorative solutions are permanently completed in one visit. This saves precious time that is better spent with your family or not having to take valuable time off work. We look forward to meeting you and your family to discuss the best maintenance and restorative solutions for a brighter, happier smile! Please call (951) 244-9495 and schedule an appointment with, Dr. Hauser, the leading dentist in Canyon Lake, CA, or make an appointment online with us today! 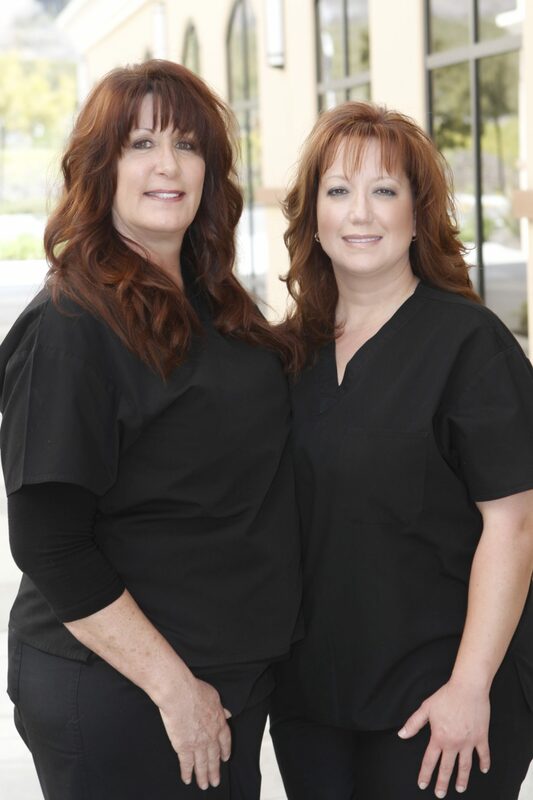 Meet Your Dental Assistant, Suzi, and Registered Dental Assistant, Patti!